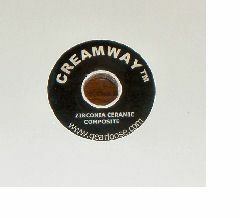 The Creamway™ polishing lap is a Zirconium Oxide/ceramic polymer "Just Add Water" lap. 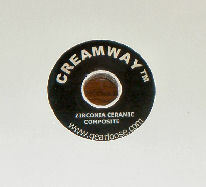 The polymer has further been modified to allow exceptionally high oxide loading. In my opinion, this is currently the most "dummy-proof" of Quartz polishing solutions. It is a good bit slower than using an oxide polish on a lap - but also less sensitive to imperfect technique.